Take a “walk thru” with the 3D Tour. 2,600 sq. ft. of incredible space! 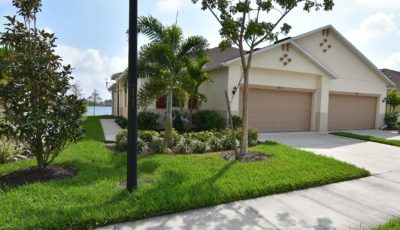 This ground floor, 3 bedroom, 2 bath Marina Southshore condominium is offered FULLY FURNISHED and TURN KEY (excluding some personal items). Open the front door to the “grand” open foyer. This floor plan has two large guest bedrooms a comfortable distance from the living area. Both bedrooms are as large as most master suites. The kitchen is updated with plenty of counter space and cupboard space. Enter the family room and glassed-in Lanai with its wind-resistant large glass sliders. Relax and enjoy the tranquility of the boats parading up and down the Marina. Not only will you fall in love with the view but also with the interior of this SUPER CLEAN condominium. Adjacent to the condo is a one car private garage with space for an SUV, golf cart, kayaks, bicycles, and tools. Southshore’s lifestyle includes an “active” club house, large heated pool, 14 acres of green space, sunset views at the “point”, kayak access, pickle ball courts and even leased dockage through the Harbor Master at your doorstep. Burnt Store Marina and Country Club is still considered Southwest Florida’s Best Kept Secret offering the largest private marina in SW Florida (on Charlotte Harbor) with 525 wet slips and over 200 dry storage slips, fuel dock, 27 holes of challenging golf, tennis, waterfront dining, athletic club, walking/bike/golf cart paths and more. Come see for yourself why so many have chosen this fantastic, friendly gated community.